My name is Michaela and I operate Distance Reiki • Online. I’m a Reiki Master, holistic nutritionist, and claircognizant. At Distance Reiki • Online, we aim to facilitate healing, balance, and abundance in every life that seeks it. Distance Reiki is ideal for those with limited time, ability, mobility, or access. With Distance Reiki, you’re always in the right place. My purpose is to help those that need healing in their lives whether this is by Reiki or Angelic Healing even by Tarot Cards. I currently wish to provide free healing to be able to provide this service to those that need it. 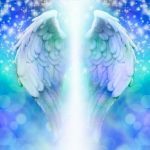 I am currently offerring free distance reiki healing and angelic healing, please contact me on the listed email address or visit the mentioned website. Short Business Description: I offer services to help my clients release blocks promote healing and discover their inner light. I have been on my spiritual journey for many years. Being a stay at home mom I had the opportunity to take classes on energy healing angels and spirit communication. I’m very passionate about my spiritual work and services. Right now I only offer distant healing and phone sessions. The energy during a distant healing session is just as effective as an in person session. 90-95% of Illnesses are created by stress and we still too often don’t choose to relax and calm down. Suppressing leads to contraction in our body which leads to illness. Reiki is a form of alternative medicine developed in 1922 by Japanese Buddhist Mikao Usui. The Reiki practitioner channels life force energy through the patient, which helps the body to bring balance to the root cause of disease and imbalanced physical, mental, emotional and energetic conditions. Reiki is a natural, safe, simple and relaxing alternative health modality that everyone can use. Reiki is non-invasive and can work in conjunction with medical or therapeutic techniques to relieve side effects and promote recovery. The average person has 70’000 thoughts a day. Thats a lot of stories that have nothing to do with the reality and we became the slave to our mind. The only life that is real, is happening right now in the present moment. Mindfulness is a mental state achieved by focusing one’s awareness on the present moment, while calmly acknowledging and accepting one’s feelings, thoughts, and bodily sensations, used as a therapeutic technique. In a world where everything is moving and changing fast, we often feel overwhelmed and burnt out. With countless opportunities, ever changing possibilities, it becomes difficult to choose and we tend to survive instead of thriving. Instead of being connected, we are missing meaningful conversations and relationships .We long for freedom, security, success, love and happiness, but ending up getting stuck. We carry limiting believes from childhood trauma and have been brainwashed by society that we are not enough, which keeps us chasing for outside validation instead of using the infinite gifts within us. The world is calling for a new way of living. In my mentoring sessions I don’t only focus on mindset and strategies but go way deeper using metaphysical paradigms, also known as Ancient wisdom traditions and spirituality to become aware and concious in order to release blocks, gain clarity and lead you to your own intuitive guide so you can see the solution and take action to a happier and more fulfilled life. When we balance and align body, mind and soul, thats where the magic happens. We can experience joy and get clear on our purpose. We are able to love and respect ourselves and others. In the state of feeling healthy and happy we can create the life we want. Being in alignment is often referred to as being in flow. Distance treatments are highly effective completely safe and often profound. Packages available, see more details on my website. Short Business Description: Ashe Sankofa Wellness: Crystal Reiki, Hypnosis & Other Holistic Mind-Body-Spirit Medicine Therapies for Your Unique Feminine Wellbeing. Mind-Body-Spirit Medicine Solutions for your unique Mental,Physical, Spiritual, Social and Sexual Wellbeing. I provide distant Reiki session in the privacy of your own home or office. Please schedule your session today by visiting my website! Short Business Description: I provide distant Reiki sessions. 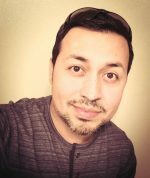 My name is Dr. Johnny Ybarra and I provide Distant Reiki sessions for individuals who wish to fit in sessions during their lunch break or for those that prefer sessions in the privacy of their own home. I have many years of experience providing services as a professional addictions counselor, certified fitness trainer, holistic life coach, and Reiki practitioner and certified crystal healer. I look forward to helping you on your path to wellness! Hypnotherapist, lifestyle/holistic coach, speaker, meditation guide, Reiki Master and trainer. I help people create the life of their dreams by clearing, healing and guiding. 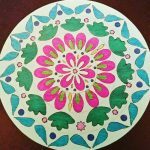 Short Business Description: Using distance Reiki sessions for humans and animals, as well guided meditations. I offer all services for donations that go directly to the Lupus Foundation of America, Florida Chapter. The website is attached to my Facebook page of the same name.